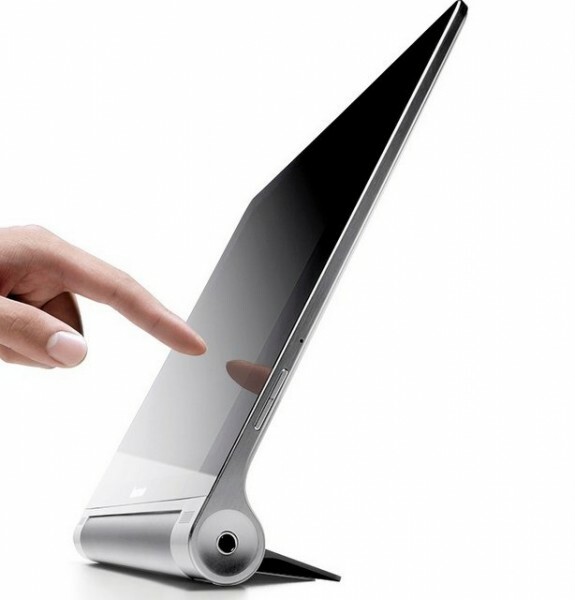 World’s largest PC maker Lenovo has launched two new Android based tablets, named as the Yoga 8-inch and Yoga-10 inch. Both the devices runs on Android 4.2.2 Jelly Bean operating system with very minor customizations and gains the strength from Mediatek quad-core CPU. The WiFi model is powered by MT8125 processor and 3G variant gains the power from MT8389 chip. Overall the features of the both device are quite nice considering the price tag. It would compete with Micromax Canvas Tab p650 and Xolo Play Note 7. The Yoga8 comes with a 8inch capacitive touch screen display having 1280×800 pixels resolution, white the yoga10 has 10inch display with same sort of resolution and touch type. To boost the performance both the Tab comes with 1GB of RAM. The tablets features cylindrical handles at one end for better and comfort gripping. The tablets has multimode features that helps you to use the tablets in three work modes – hold, stand and tilt. Talking about the memory both new Lenovo tablets comes with 16GB / 32GB of internal storage and further expandability via microSD card slot up to 64GB. Impressively the tablets comes with 5-megapixel auto-focus rear camera and a VGA front webcam. The company claims that tablets will offer 18 hours of battery backup, which seems to really fine. The Lenovo Yoga 8 is priced at $249 ( Rs15,500 in India) a, while the Yoga10 comes at $299 (18,500 INR).